Central Queensland bragging rights will be on offer once again, when 2018 AFL Capricornia Premiers Yeppoon Swans face off against 2018 AFL Mackay Premiers, Whitsunday Sea Eagles. The two seaside clubs will be pitted against each other in the second iteration of the AFLQ Central Queensland Cup. The Cup was first competed for in 2017, when Yeppoon comfortably defeated the Mackay City Hawks. The fixture will be held as a curtain raiser for the Gold Coast SUNS versus Western Bulldogs JLT Community Series match to be held at Mackay’s Great Barrier Reef Arena on March 3. Having appeared in numerous grand finals in recent years, both local clubs are accustomed to the big stage and will relish the opportunity to perform in front of a packed stadium. The JLT fixture in Mackay comes as a result of the Gold Coast SUNS four-year destination partnership with the Mackay Regional Council that will see the SUNS Women’s team play a game each year at Great Barrier Reef Arena. 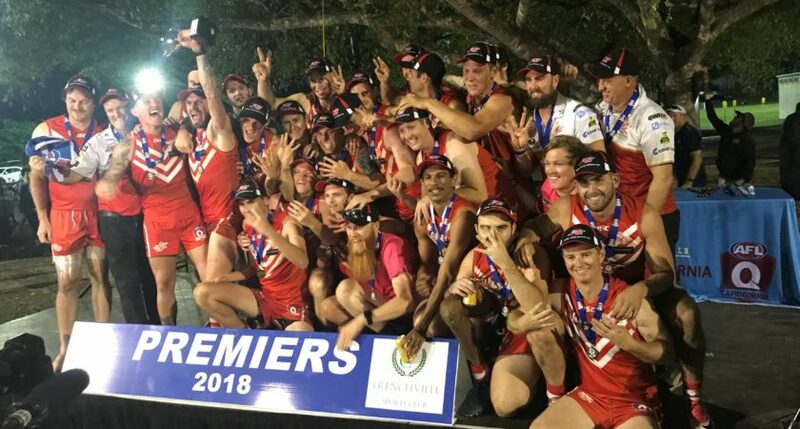 AFL Queensland’s State Manager – Senior Football, Barry Gibson, said the regional JLT Community Series matches provided a great opportunity for interleague challenges between reigning premiers. “We developed the concept several years ago to provide a local flavour to the JLT Community Series games, with the first being played in Mackay in 2017, then last year we had the AFL Townsville and AFL Cairns premiers compete in Cairns. “It adds variety for the clubs and is a great way to showcase local footy in front of a big crowd”, Mr Gibson said.